Andy Reynolds, the brain behind FatFish Tackle, approached iAngler based on the recommendation from one of our clients. 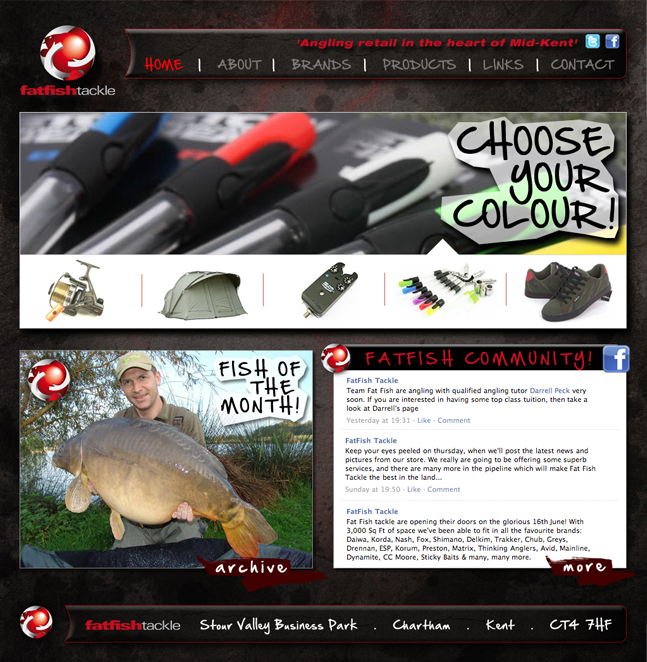 Andy needed a website that communicated the FatFish Tackle ethos, that they are no ordinary tackle shop, and they are here to make a big impact on the market! iAngler used various techniques to add depth to the site, to make it really stand out from the other regular online shops. It features a Facebook feed that ties into their social media marketing, and also a CMS system so that the fish of the month gallery can be updated easily. Its certainly a big hit with the local Kent Anglers!